Take a break from the traditional Australian Christmas – hot, hectic and hurried. It’s time to plan an overseas holiday with a getaway that’s cool, calm and Christmassy. The cost of local holidays skyrockets during the Christmas season, so take a look at these tips to try a winter holiday away from the heat and the endless challenge of finding a car park at the crowded shops. Check out these eight suggestions for planning a Christmas holiday with all the magical traditions of a northern hemisphere Christmas. Search for deals and book early. Cheap deals get snapped up early so start thinking about your holiday now. You can book online using a prepaid card. Confirm your annual leave arrangements. Before you book your holiday, apply for your annual leave and get your employer’s approval. Check your passport validity. If you plan an overseas trip, you need at least six months validity beyond the completion date of your trip. Apply for a renewal if your passport expires sooner. It takes at least three weeks to process once you have submitted all the relevant documentation. In emergencies, the Passport Office has a priority service and will process your passport in two days for an additional fee of $178. Look for a package deal. Choose a bundled package which can include flights, accommodation or cruise and some activities. Package prices fluctuate with the season, but you’ll save valuable time and energy instead of researching travel and accommodation separately. Fly on an off-peak day for cheaper flights. Most people want to arrive at their destination before Christmas Day, so flights are most expensive during the week before Christmas. Try flying on Christmas Eve or Christmas Day for bargain fares. You may have to pay a public holiday surcharge on public transport or for taxis once you reach your destination. Celebrate a winter Christmas. Look at European destinations for a traditional Christmas experience. Travel website kayak.com.au has named Moscow as the number one up and coming destination for 2018. There are Christmas markets to experience winter magic in Strasbourg France, Tallinn Estonia, Frankfurt Germany, Copenhagen Denmark, Stockholm Sweden, Prague Czechia (Czech Republic) and Budapest Hungary. If your idea of a holiday includes skiing, check out Japan’s Niseko Village, or Telluride, Colorado, USA. And for the ultimate Christmas experience in New York, go ice skating in Central Park, see the Christmas lights display at the Rockefeller Centre, spend up at 5th Avenue shopping and visit vibrant Christmas markets. For a low-cost holiday, choose a destination that doesn’t celebrate Christmas If you want to escape the traditions of Christmas, check out the airfares to a country that doesn’t celebrate the festive season such as China, Turkey, Nepal, Saudi Arabia and Algeria. Visit smartraveller.gov.au for any official travel alerts and advice. Organise your travel insurance. Read the fine print to ensure you are covered for cancellation costs in the event of unexpected contingencies such as accidents and illness, natural disasters like a volcano erupting, earthquakes and extreme weather. Surveys of prepaid card recipients rate holiday bookings as one of the most popular ways to spend the value on the card as they can be used in store or online to book a holiday or to pay for expenses while having time off. 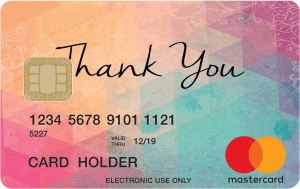 Companies planning to reward their staff and clients with an end of year gift of appreciation are choosing Corporate Prepaid Cards because they are universally preferred. More than 300 of Australia’s top companies choose gift cards as incentives and rewards for staff and clients. 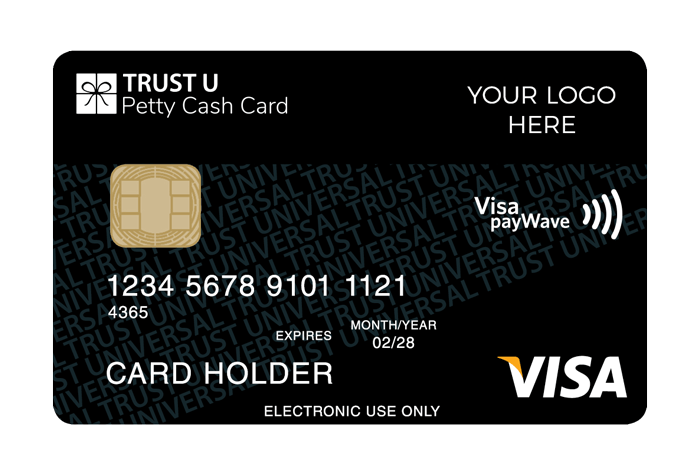 Visa and Mastercard Prepaid Cards can be used for internet purchases as well as in about 500,000 stores in Australia or 25 million stores overseas, provided the merchant has electronic processing. Better than cash or other gifts, prepaid cards are secure and give the recipient the opportunity to buy their own gift. Your own branded Mastercard becomes a billboard in the wallet of your customer, employees and clients. They are reminded of you every time they see it. For delivery of custom-branded cards ready for end of year events, contact Corporate Prepaid Cards to discuss your requirements. With a range of festive and holiday themes, you can choose from Mastercard, VISA and eftpos cards. You can view the range at corporateprepaidgiftcards.com.au/christmas-gift-cards. Any of the gift card designs can be personalised with your company’s logo or you can custom-design your card to fit your marketing program. Small runs of up to 200 cards can be ordered and delivered within 10 business days. All cards come with a presentation wallet. Recipients are provided with details on the card activation process and how to go online to check the card balance and view transactions. Use prepaid gift cards as the preferred incentive to reward your staff and clients and give them the pleasure of booking a holiday using a prepaid gift card. Phone Corporate Prepaid Cards on 1300 218 319 or email info@corporateprepaidgiftcards.com.au for a quote.